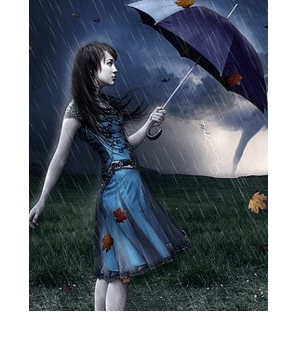 Monsoon is favorite season of young hearts as it considered most romantic season. It is best time for partying, outings and get together but all this is incomplete for girls without monsoon friendly make up.As monsoon has already started so the main problem of girls in this season is what make up should be applied for such humid climate? So all you gorgeous girls must be looking for good tips for markup in monsoon. Right? Here we go. Mostly in monsoon we have high humidity in atmosphere, so our skin does not required any extra humidity from creams and makeup. One doesn’t need any extra skin care to hydrate your face skin in monsoon. This applies to foundation also. Use of creamy foundation will give you oily look, and it can spread a lot. Tip: Use Makeup base properly and apply Matt foundations with appropriate loose powder, to get matt fresh look in monsoon. Better to use waterproof liners and mascara in monsoon and summer so that you will not be tense while going out in rainy atmosphere. Your water proof mascara and eye liner will not spread anyway. Tip: If you don’t have water proof eye liner, use pencil liners in Monsoon. Monsoon is the season of Love and romance. Glossy lip colors are in trend for the monsoon 2011. Get two three glossy lip colors to have new monsoon look. Tip: There are some special lip glosses available in market which require makeup remover to rub your lip gloss, get them if possible so that even in rain, your lip color with gloss remains as classy and trendy. •	Always keep few tissue papers with you in handbag. You can have need of them anytime in monsoon season. •	If you do makeup regularly, keep some cotton and makeup remover with you in your handbag, so that in any case if your makeup spreads out, you can use it to clean your face immediately. •	Always keep good fragranced body spray, Plastic polythene and a small handkerchief with you in your bag. •	If you are fond of wearing light makeup in day time, make a small makeup kit special for monsoon. This small makeup kit in your handbag will include a matt foundation, small Compact powder, a pencil eye liner, water proof mascara and a miniature lip color.